The first specialist recording studios were built either for broadcast houses or for large record companies. Practically all of these recording venues were located in big cities, as the technology was expensive and travelling wasn’t quite as convenient as it has become today. 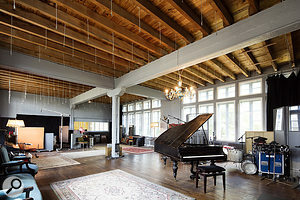 But once independent studios came onto the scene, the idea of a residential recording venue in a more or less remote location began to flourish. 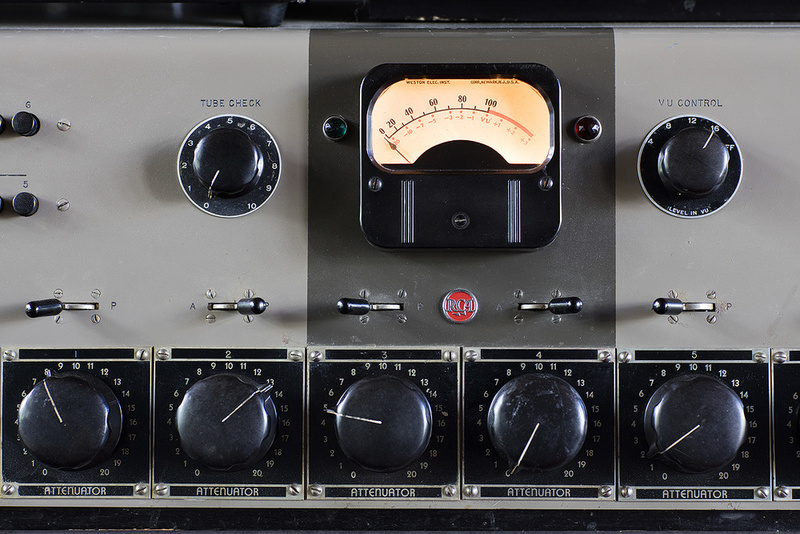 Residential studios offered artists the chance to develop their music away from the distractions of a bustling metropolis, without compromising the technical aspects of record making. 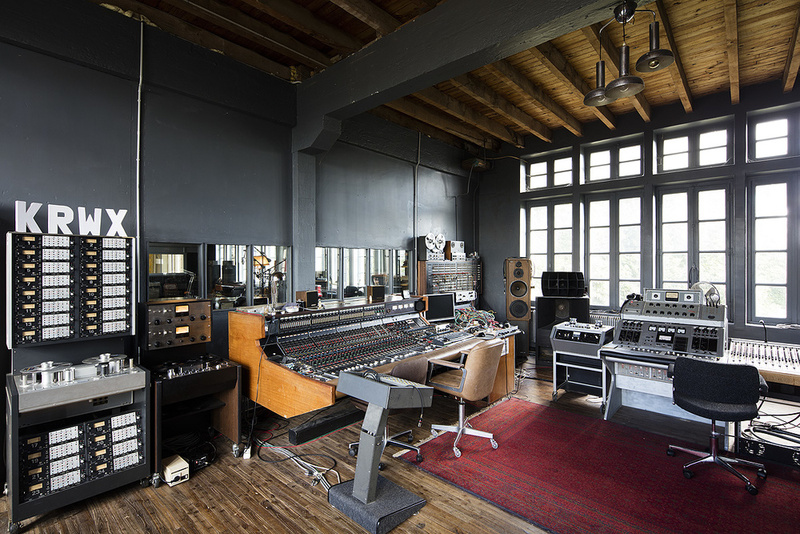 Rockfield in Wales (see SOS May 2013) is one of the best-known residential studios, while trucks like the Rolling Stones Mobile could turn almost any building into a studio. 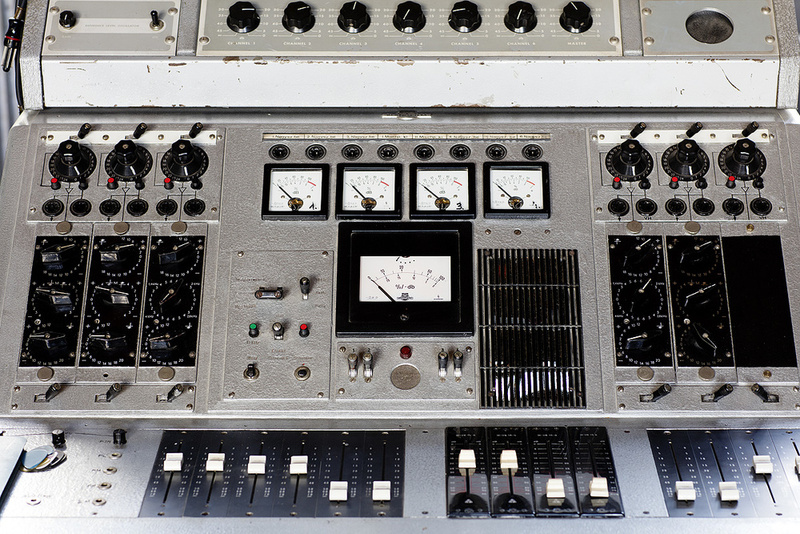 Not one but two vintage valve mixing desks: the RCA 76b console (above) is the same type that was used at Sun Studios, while the 1955 Klangkilm mixer uses passive EQ and V72 modules for make-up gain. The outboard collection includes a lot of valve gear from the ’50s. 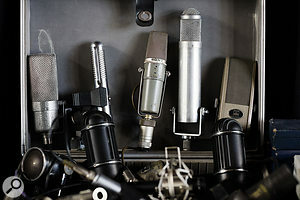 Along with the well-known classics the studio offers a huge number of more unusual microphones, such as a B&0 BM3 ribbon (second from left) and a Sony ECM-377 (centre). A staircase has been converted into a giant echo chamber. 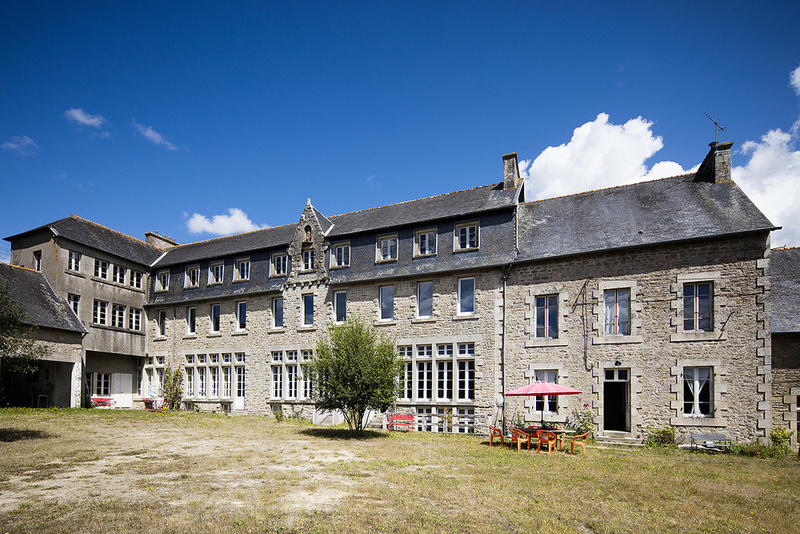 Kerwax is located in a former boarding school that was built around 1900.Located in the village of Loguivy-Plougras in Britanny, Kerwax is an intriguing new take on the concept of the residential studio, centred around vintage recording technology. For many years, producer/engineer Christophe Chavanon and his wife Marie Kernéüs had been running Perpetual Wasteland (PWL) in Lyon, a recording studio focusing on indie/alternative music. Chavanon started his career as a guitarist, but later he studied art and design, and this fuelled his interest for, as he says, “good-sounding as well as good-looking stuff, which led me to collect mainly 1940s-1970s gear, which has a lot of soul to me, yet at the time everyone else went digital“. 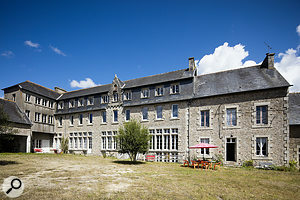 While on a family vacation in Brittany, the couple discovered an empty building which was founded as a Catholic boarding school for boys around 1900 and which had been home to a day school until 2007, before it was abandoned. Chavanon and Kernéüs acquired the property in November 2012 and conducted the first recording session in March 2013, remodelling the building in their spare time. “As a musician, if I were in the process of recording an album, I would have dreamt of doing it in a place like that,” remembers Chavanon. The word ‘ker’ means ‘house’ in the Breton language, so Kerwax is almost literally a ‘house of vinyl’! The entire building offers a floor space of 1350 square metres, and much of this is reserved for the actual studio, which occupies the entire first floor in the main part of the building, as well as a few other rooms. Both the 70-square-metre control room and the 150-square-metre main live area boast a four-metre-high ceiling and no fewer than 22 windows, flooding the space with daylight. Currently a 40-square-metre drum booth and a 15-square-metre vocal booth are being added to the live area. 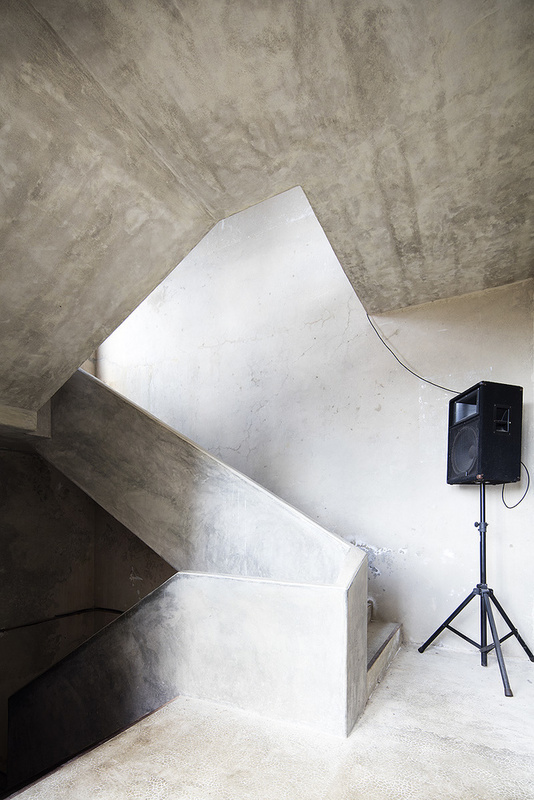 A staircase has been converted to an 18-metre-high echo chamber, and Kerwax also offers tie lines to the 250-square-metre attic, which can serve as an additional live room. In short, there is no shortage of space in this studio! While the first session took place with missing windows, wool hats and coats — “thanks to the valve gear for the heating!“, as Chavanon puts it — Kerwax today offers comfortable lodging for up to 20 guests. And the valve kit is clearly worth a closer look, as it not only provides warmth for the control room itself, but also for the audio recorded there. 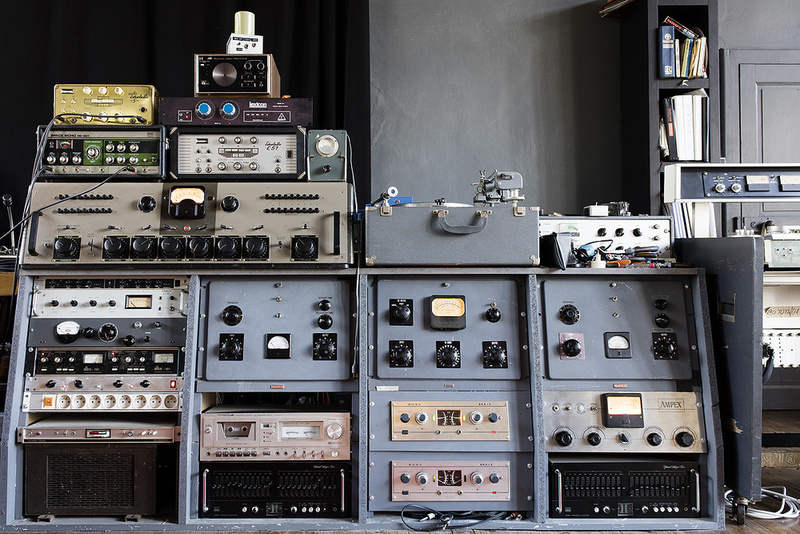 In fact, this is one of the most uncompromising gear collections put to service in a recording studio anywhere in the world! 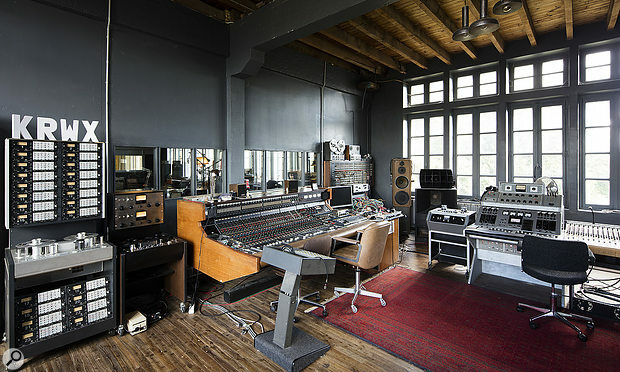 The control room is centred around three mixing consoles, each of which has a special provenance. 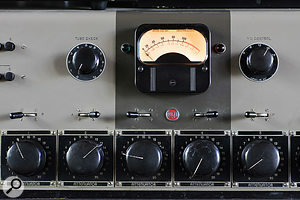 For tracking, Chavanon works with an RCA 76b valve console of the type installed at Sun Studios. This is accompanied by a 32-channel Polygram/Philips console; one of only three of its kind in the world, this particular desk was commissioned for Studio des Dames in Paris, where Serge Gainsbourg did many recordings. 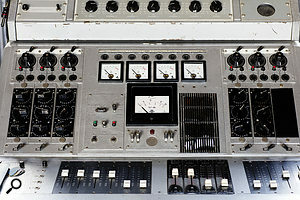 During mixdown all buses are summed through another all-valve desk, a 1955 Klangfilm console which came from an old movie theatre in Budapest, and which is loaded with passive Klangfilm EQs and Telefunken V72 modules for make-up gain. 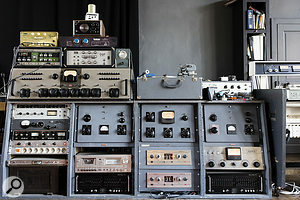 The outboard collection includes a couple of gargantuan Gates SA39 compressors, and a vast number of analogue reverbs, among them an EMT 140 plate and AKB BX20 spring reverb as well as several Roland Space Echo and Klemt Echolette tape delays, while all audio is committed to tape by way of several Studer, Revox and Pathe Marconi machines. Chavanon employs Cubase as a DAW, but only as a last resort for editing duties, as he greatly prefers analogue gear, a process he describes as “cooking with the best ingredients“. 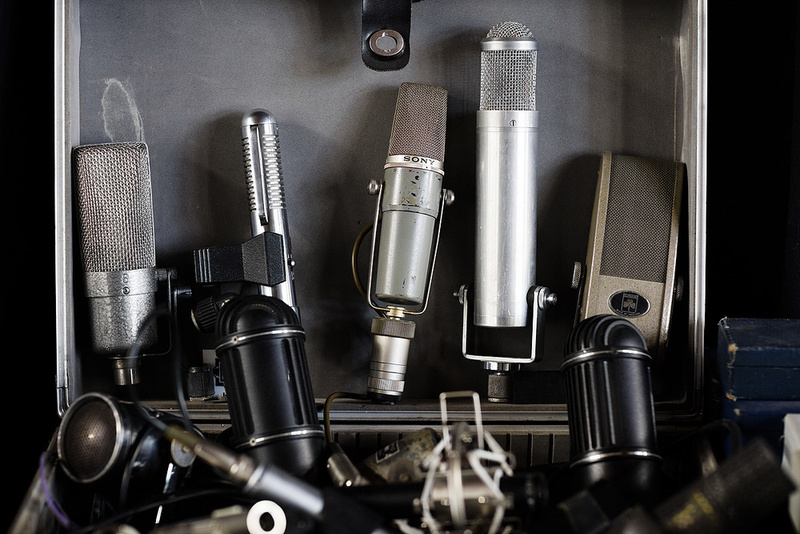 Well-known classic microphones including an AKG C28, Neumann KM54 and RCA 77DX are complemented by a larger number of more unusual sound transducers such as several Bang & Olufsen ribbons, a Sony ECM377, an Altec M11 ‘Coke bottle’, an STC 4021 ‘ball & biscuit’ and many more. There is a backline collection which includes vintage Fender amps like a Deluxe and Bassman, GEM and Dynacord amps, several guitars, an Olympic drumset, Ludwig timpani and a Pleyel grand piano from 1896. As a producer, Christophe Chavanon has recently been involved in projects by Rover, Ukandanz and Mütterlein, and recording clients at Kerwax include Thomas Fersen, Slow Joe and the Ginger Accident, Mr Day, Lou Doillon, Equus, Innaters and Professor Wouassa.